Genuine Featherpost branded mail room essentials. Available in Oyster or Gold, as singles or whole packs. 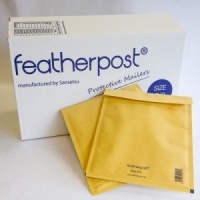 Lightweight protective self seal mailing bags keep your products safe in transit and help you reduce mailing costs.